Netflix has a ‘request a title’ form on its help page. Nope, we didn't know this either but it's there and we should all be using it. The page was tweeted out by the official Netflix Philippines account, when someone queried why comedian and Brooklyn 99 alumni Chelsea Peretti wasn't on the service. 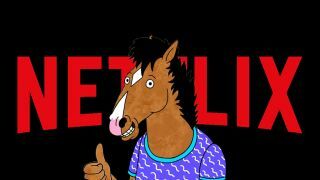 Netflix's response: “You know the drill” and a link to the request page. The thing is, not many people actually know the drill, least of all Chelsea Peretti who had no idea the page existed, either. Now, having a page like this on Netflix’s official website is a nice way to make fans think that they have access to those behind the choosing of the content on the service. But it's also a way for Netflix to gauge the popularity of some shows it has yet to acquire - data such as this and every single thing you click on to view, how long you view it for and what you search for helps Netflix figure out just what should be watched. While we were a little dubious that your request would be heard, Netflix notes on the page that: "We keep track of all requests from our members, so there's no need to request a title more than once." Which obviously means someone has been spamming the account to request all of the American Ninjas.